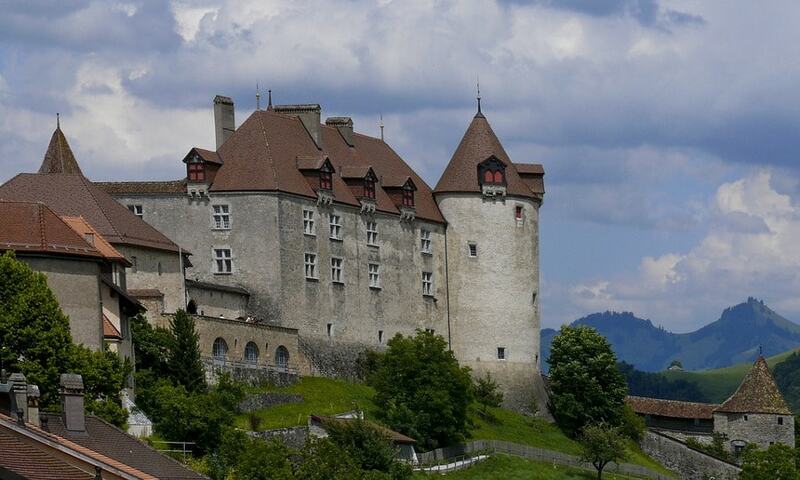 The Castle of Gruyeres is a famous Swiss fortification, located in the medieval town of Gruyeres. The castle was bought by the canton of Fribourg in 1938 and made into a museum which is opened to the public. Since 1993, a foundation ensures the conservation as well as the highlighting of the building and the art collection.